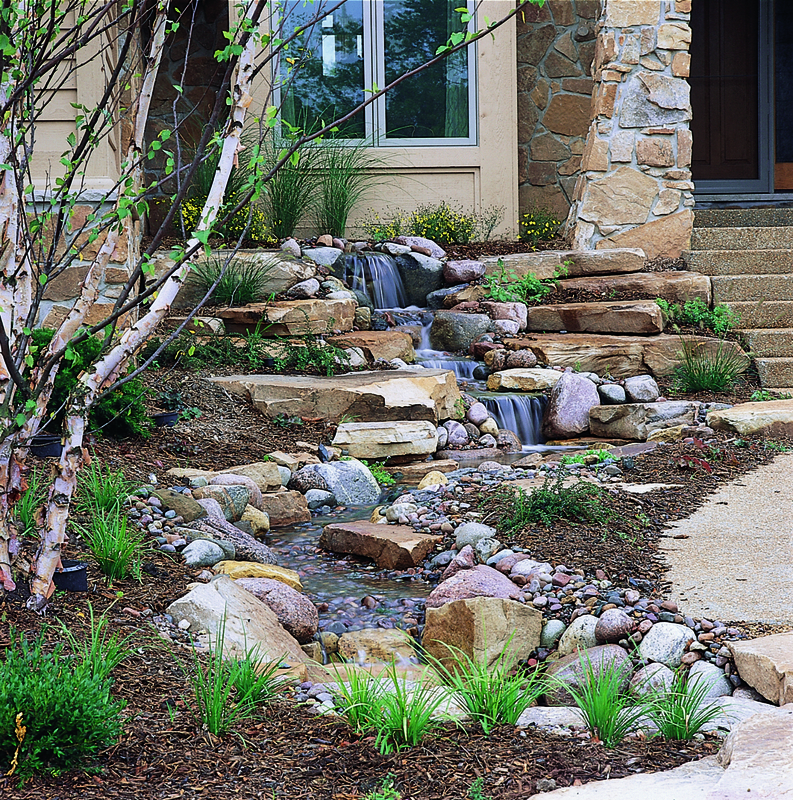 Pondless waterfalls are becoming increasingly popular in the landscape industry. 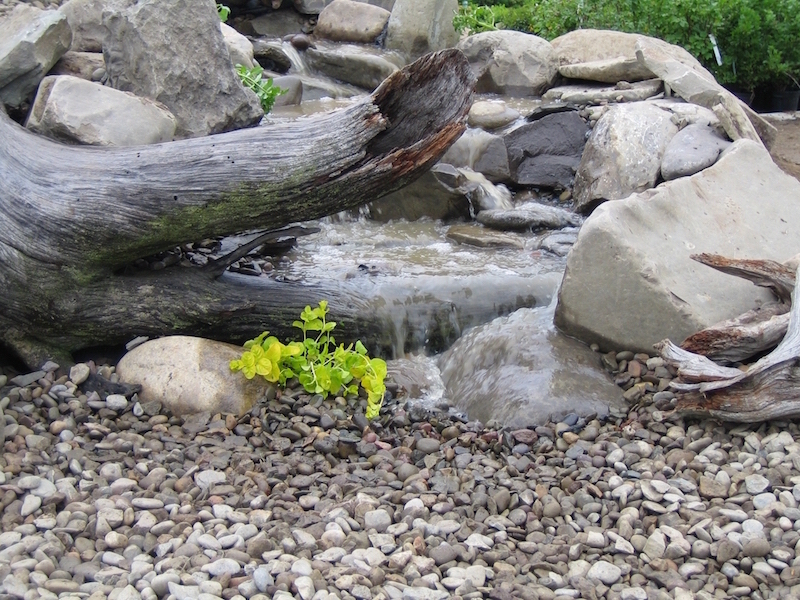 Pondless waterfalls are simply a re-circulating waterfall and/or stream system without the presence of a pond. You can enjoy the sight and sounds of a waterfall without the maintenance involved. 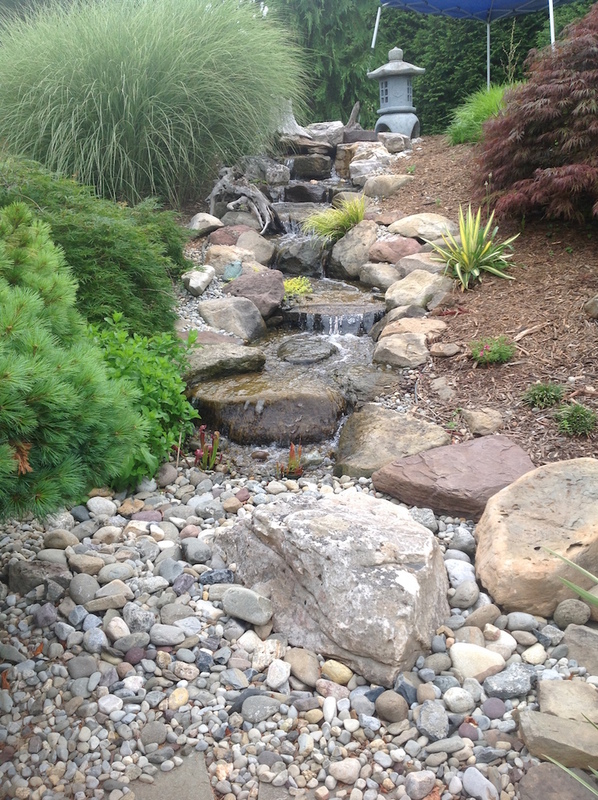 Pondless waterfalls are perfect for schools and businesses and homeowners who travel frequently or have small kids because the water does not form a pool but instead disappears into an underground reservoir beneath rock and gravel. These waterfalls and cascading pools provide a necessary source of water for local wildlife. Waterfalls are magnets for birds looking for a place to drink and bathe. Below is an illustration of how pondless waterfalls work, followed by photos of a few of the many pondless waterfalls The Pond Doctor has designed and installed for schools, businesses and homeowners throughout the Northern Virginia region. 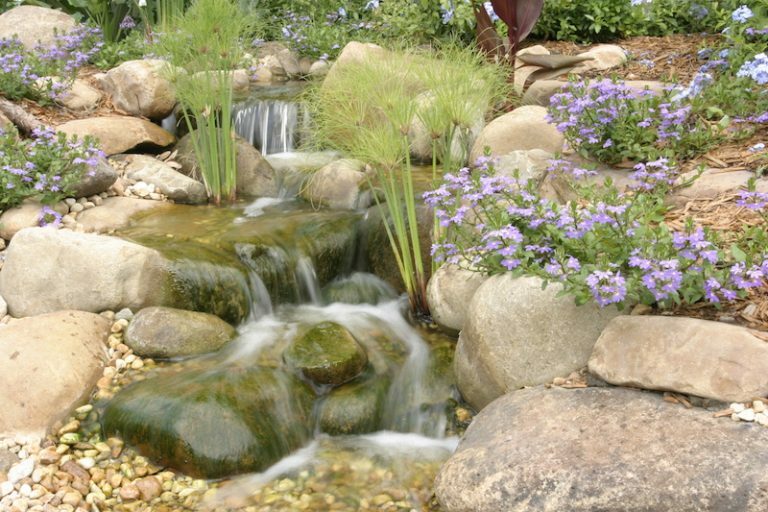 If you are thinking of having a pondless waterfall installed on your property, give us a call at (540) 272-6866 or CLICK HERE to send us a message..